Learn about the free tools available to enhance your Bizioner business page. 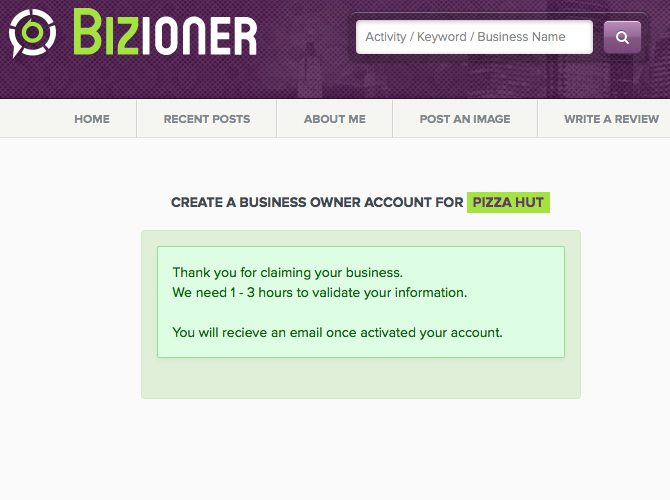 Begin your profile activation by visiting: http://biz.bizioner.com/. 1 The first step to taking over your business profile in Bizioner is to conduct a search query to see if a user has already added your business. 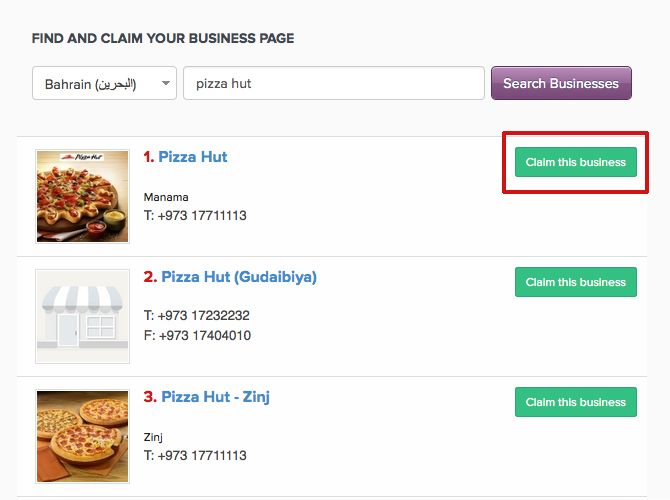 2 If you identify your business among the listed businesses, click on "Claim this business" and you will be prompted to follow additional steps to claim it and to validate your claim. 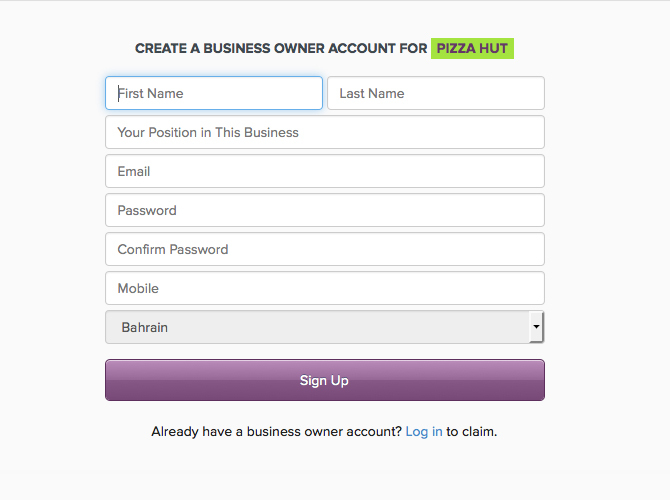 If your business is not yet listed, then you will see at the bottom of the list a prompt to register your business in Bizioner. Click on it, and be ready to enter basic business information. 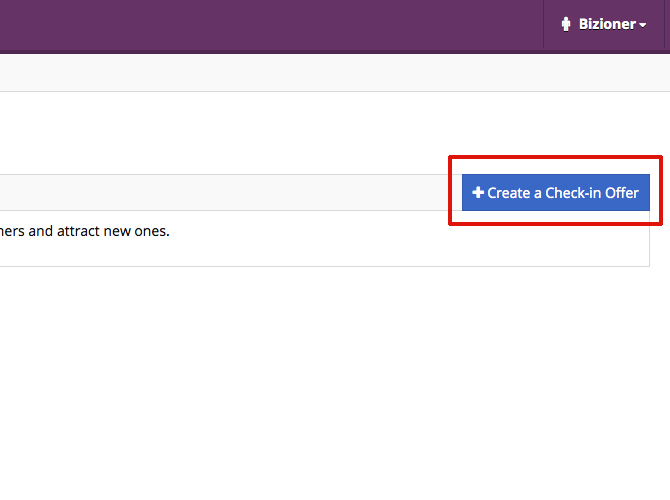 3 Additional steps to claim your business page and to validate your claim. 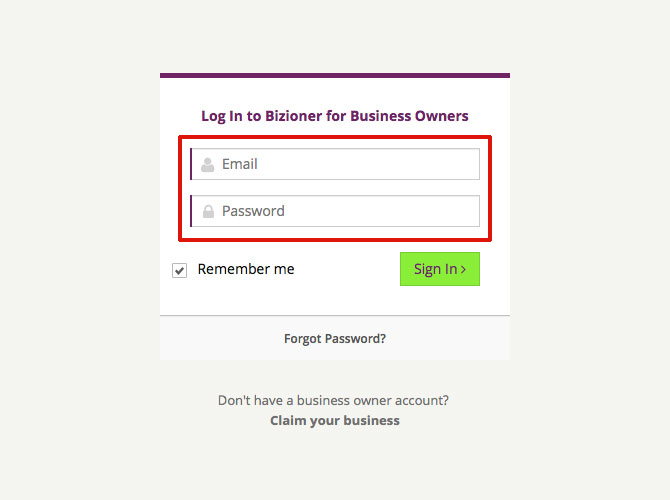 4 Bizioner validates your business entry by sending you an E-mail. This reduces the number of spammy or fake profiles created by malicious individuals. 1 Login into your business owner account. 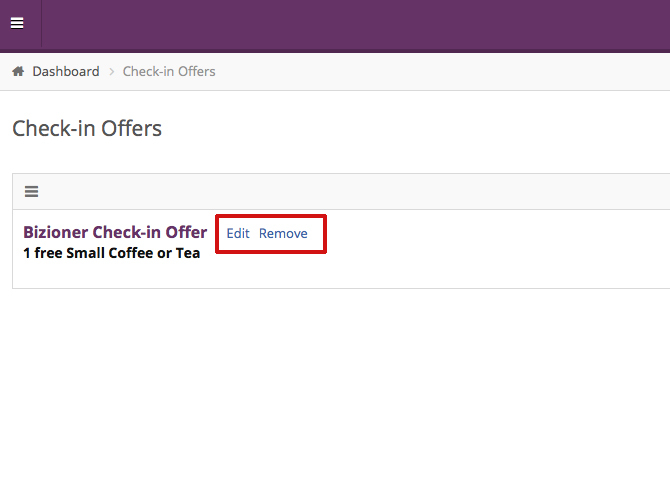 2 Go to the section labeled check-in offers. 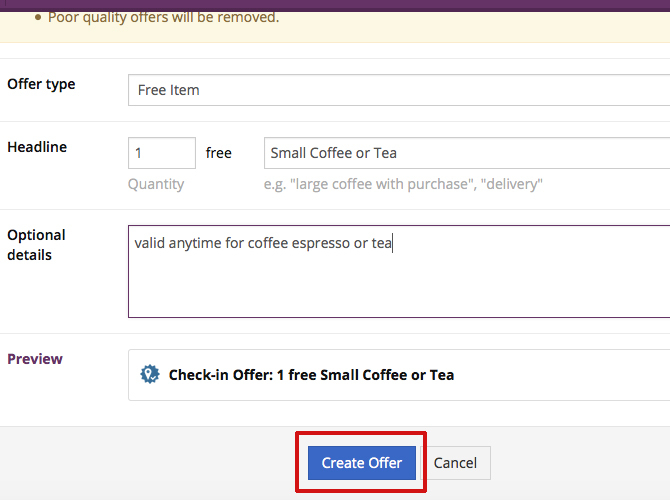 3 Click on the button prompt you to create the offer. 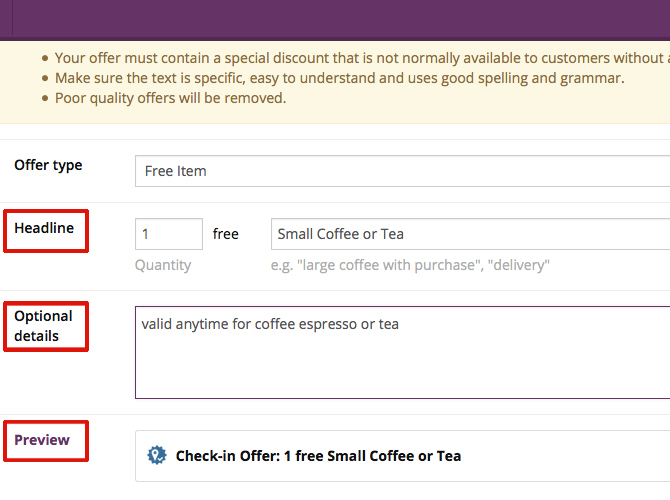 4 You have the ability to select the offer type. 5 Once you decided about the offer you would like to run fill in the information in the headline section and optional details. You have the ability to preview the offer before goes live. 6 When you are ready click on create the offer button and the offer will be posted. 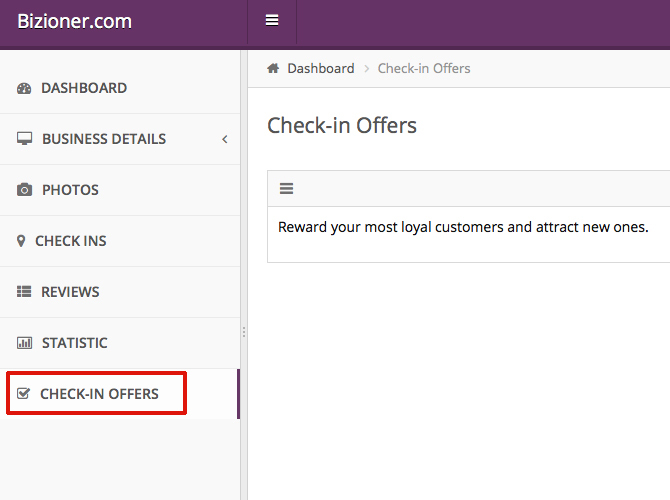 7 Once your offer is live consumers will be able to redeem the check-in offer using Bizioner’s mobile app for smart phones. 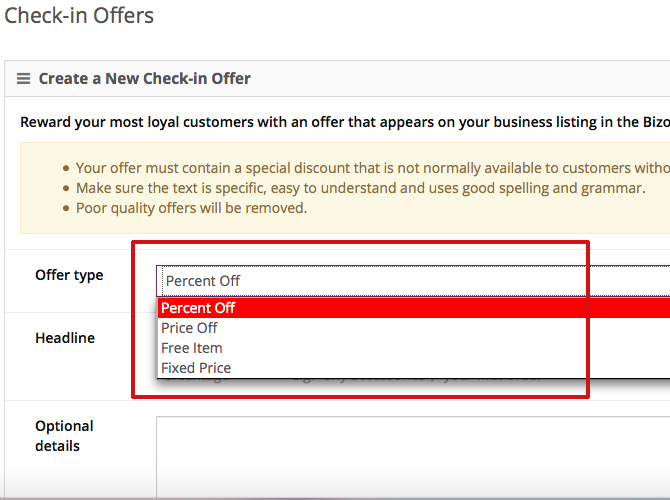 8 Once you are ready to remove your check-in offer simply go back into your business owner account under the section check-in offer your have the ability to remove your offer.